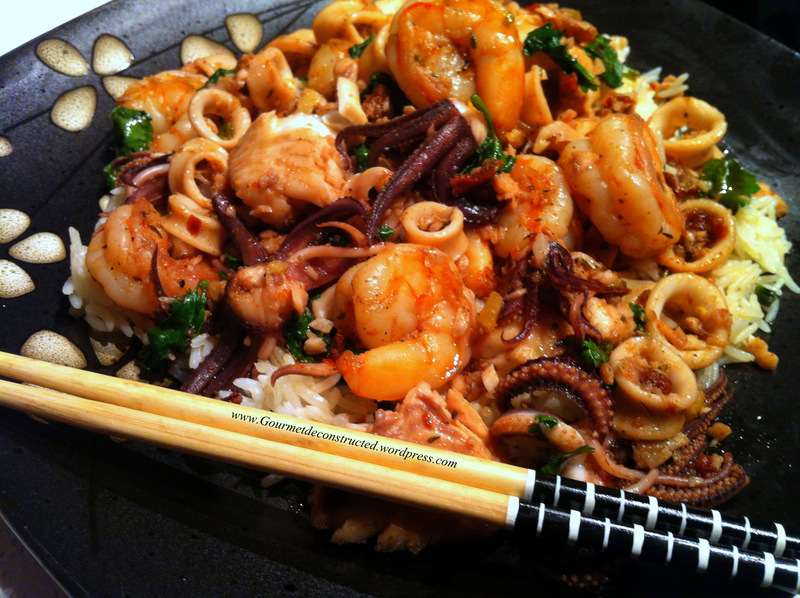 Posted on May 13, 2012, in Seafood and tagged seafood, shrimp, squid str-fry, tilapia stir-fry. Bookmark the permalink. 5 Comments. Hi Justice, The thing that really impresses me is not the squid cleaning (all real men do that) but the branding on the chopsticks. Soon you will be selling the ‘Gourmet Deconstructed’ t-shirts. great stuff, really! Btw Conor that’s not branding that’s just type over the image. I noticed that the ginger is not listed in the ingredient list. yummy all around thanks a bunch.